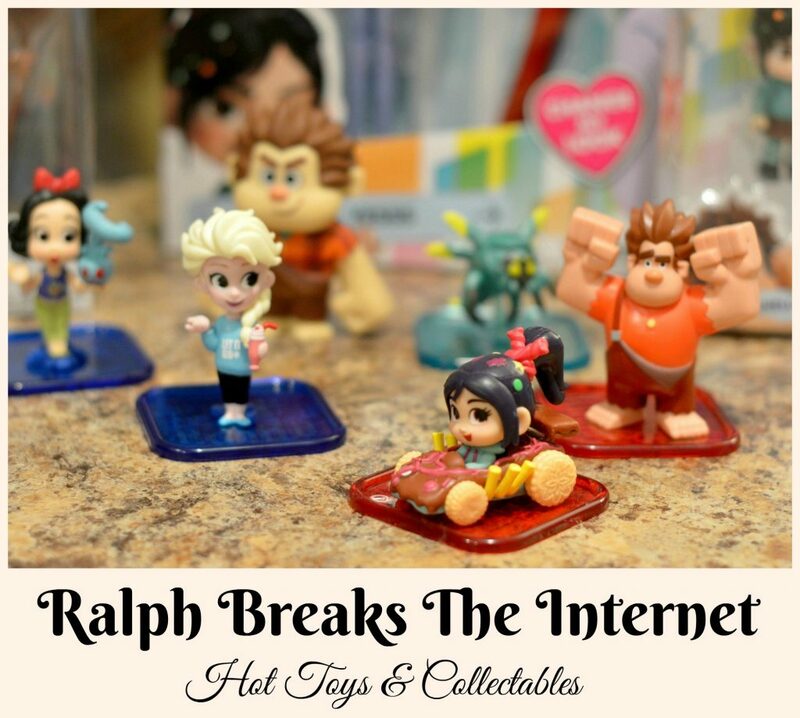 Ralph Breaks The Internet will not only be the hottest movie this holiday season but it will also bring you the hottest toys & collectibles! When a huge Disney movie hits the theaters, especially around the holidays, we are guaranteed some amazing toys and collectibles in honor of it. Before I left for the Ralph Breaks The Internet press junket earlier this month, I started doing my research on the toy and collectible line and became extremely excited to fill my toy shelf with all the goodies. YES, I totally have a toy shelf in my office that my kids drool over but they know it is off limits! Some of the hottest Ralph Breaks The Internet toys and/or collectibles currently on my shelf just might make it under the tree for them this year but they are not taking mine! Ha! Check out my list of the hottest toys coming straight from the Ralph Breaks The Internet product line! The energetic and plucky Vanellope brings her spirited charm to the Ralph Breaks the Internet Vanellope Fashion Doll. 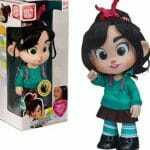 Vanellope features multiple phrases from the film as she stands 10 1/2-inches tall with rooted hair. Wear ‘n Share candy-jeweled hair clips are also included. Designed as she’s seen in Ralph Breaks the Internet, Belle is ready to rock your collection as this Rock Candy vinyl figure by Funko. Now you can display your favorite Disney’s Ralph Breaks the Internet Power Pac figures in the Power Pac Sugar Rush Display, Vanellope’s home in the videogame world. 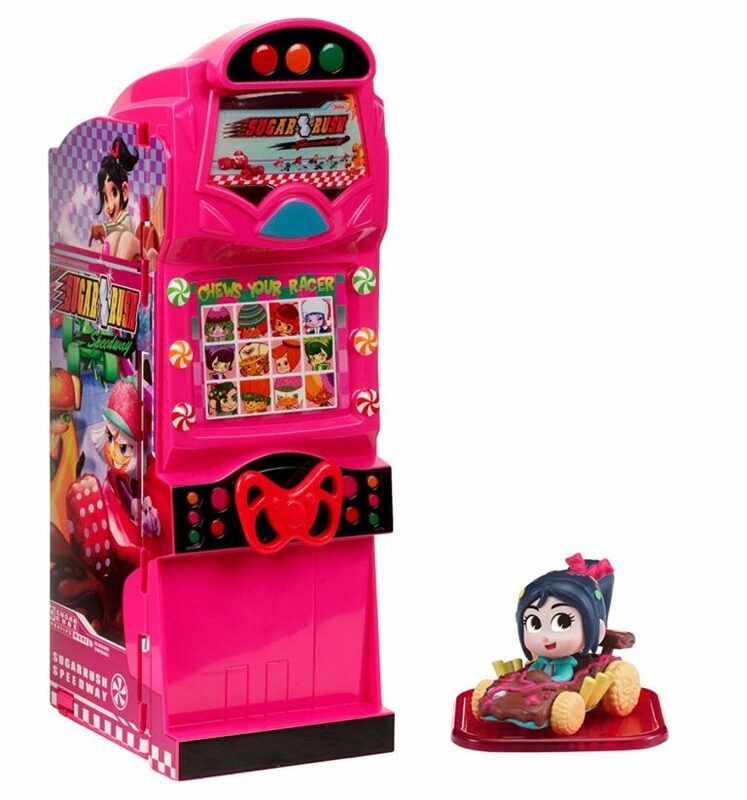 Also includes exclusive Power Pac Vanellope figure in her Sugar Rush car which can be added to the PAC-MAN App for added play! It’s wrecking time! 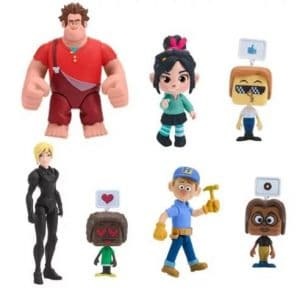 Your favorite characters from the Ralph Breaks the Internet movie such as Ralph and Vanellope comes to you as 3 to 5-inch action figures. Each action figure has about 3 to 5 points of articulation. Accompanying each action figure is a User mini-figure that can be customized for additional play and customization. Customize your User figures with different clothes, facial expressions, hair, emoji, and for a large array of looks. The video game villain with a heart of gold is back and the adventures continue with Ralph Breaks the Internet. Recreate the fun with Wreck-It Ralph, Vanellope von Schweetz, Wreck-It Ralph holding his beloved medal, Vanellope holding a mouse, Fix-It Felix, Knowsmore, Yesss, Fun Bun, Shank, Surge Protector, Double Dan, and Spamley. Each stylized vinyl figure measures approximately 2 1/2-inches tall. 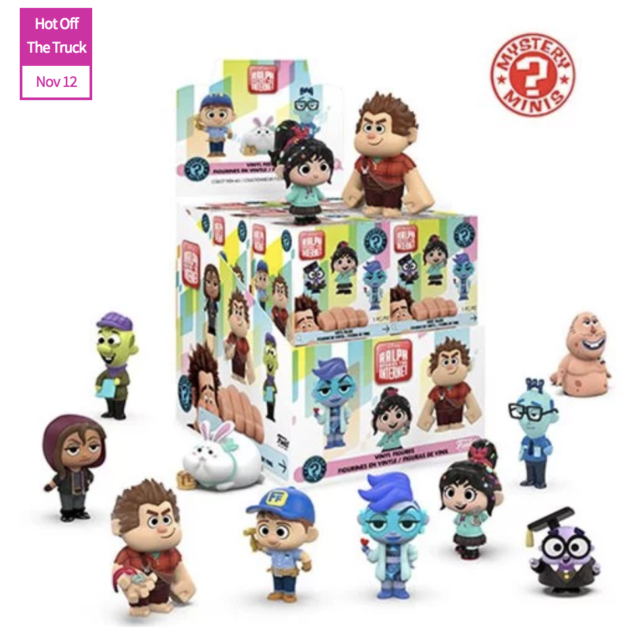 This Wreck-It Ralph 2 Mystery Minis Random 4-Pack includes a total of 4 individually packaged mini-figures. In “Ralph Breaks the Internet,” video-game bad guy Ralph and best friend Vanellope von Schweetz leave the comforts of Litwak’s arcade in an attempt to save her game, Sugar Rush. Their quest takes them to the vast, uncharted world of the internet where they rely on the citizens of the internet – the Netizens – to help navigate their way. Lending a virtual hand are Yesss, the head algorithm and the heart and soul of the trend-making site “BuzzzTube,” and Shank, a tough-as-nails driver from a gritty online auto-racing game called Slaughter Race, a place Vanellope wholeheartedly embraces – so much so that Ralph worries he may lose the only friend he’s ever had.